We’re not a sales company. We give you the unbiased help you need to find the right system for your home, with quality installation and a great price. Learn all the basics about the equipment, and the process from a vendor-neutral expert. 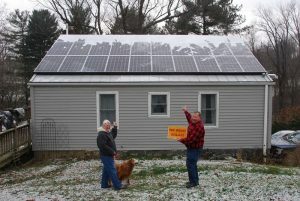 Solar co-ops help a group of neighbors go solar together. Our experts support you through the process and help you save money with a bulk purchase. Find out if there is a co-op in your area or help us start one. Become a member and go solar on your own schedule. Our experts at our solar help-desk give you one-on-one assistance every step of the way.